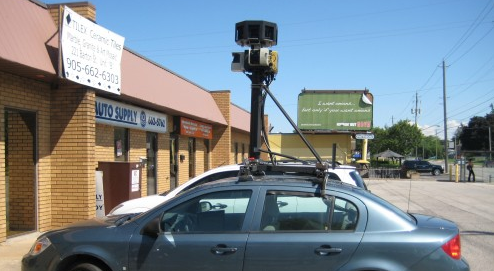 Google Street View – How Do They Do It? Everyone knows that Google Maps have revolutionized travel. Not only can people find out where they’re going (without too many front seat / back seat arguments), but travelers can plan new and more fun ways to get there. Of course, they have also extended the usability of other tools like GPS and smartphones. An offshoot of the map feature, we think the up-close and persoanl viewpoint of Google Street Views is an amazing way to preview your destination and get the touch and feel of a new place. Kids really appreciate knowing where they’re off to and after using this tool, you’ll all vacation more comfortably. But how does Google do it? When you watch Street View, you can imagine a camera, like an over-heated dog, leaning out a car window and rolling on and on. But Google wouldn’t just stop there. When we saw this video of how Google used a bicycle to map a historic monument, we had to share it with you. Enjoy!